In these days another chapter of the post-democratic scenario is on stage. Milan has been covered in billboards associating judges and the brigate rosse. 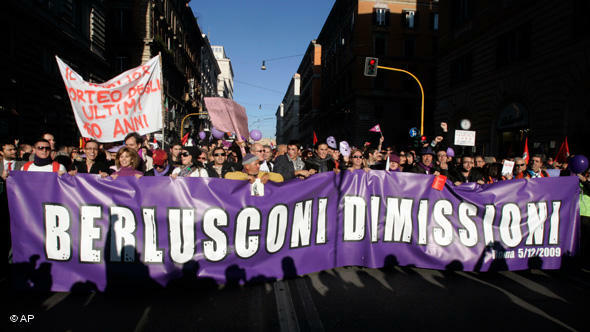 Brigate rosse killed many judges, but the reality is no longer important in Italy. It’s the narrative, the story pushed down the throat of the general public what matters. They rewrite history. I told you, the more I live in Italy the more I recognize the patterns of 1930s Weimar Republic. Today Repubblica’s Friday magazine, “Il Venerdì” quotes a famous cover of Der Spiegel. 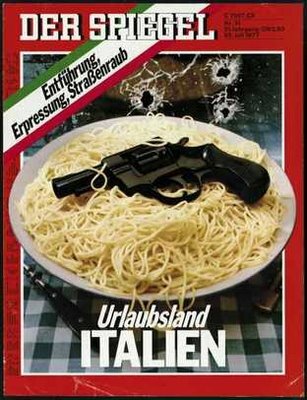 It’s the same cover as Der Spiegel but with vegetables instead of spaghetti. 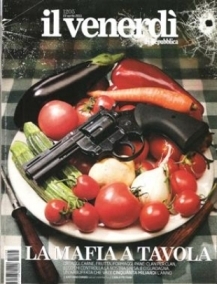 “La mafia a tavola: vegetables, meat, fruit, cheeses, bread: clan by clan see who’s controlling our daily grocery shopping, and who turns a profit from it”. A journalist* from Il Tempo comments on his blog with a blasé tone of those who know better and look down on others:“il Venerdì quotes the sinister Bild cover. Now they put Saviano even in our salad. Ok then, Happy Easter”. Of course, no comment. Many Italian journalists are not only constructing a fictitious narrative and at best sneer at those who try to do their job and still do reportages. They are also poorly documented and lazy, don’t even do fact check. A journalist confusing Bild and Der Spiegel must really be very ignorant. But I’m not surprised. *Pardon, he’s not a simple journalist, he’s “il direttore”. Congrats to the YesMen around him too. From Wikipedia: “The protagonist in a typical Sturm und Drang stage work, poem, or novel is driven to action—often violent action—not by pursuit of noble means nor by true motives, but by revenge and greed”. A few days ago Roberto Saviano wrote an article about the cultural roots of Ndrangheta and its behavioral patterns. 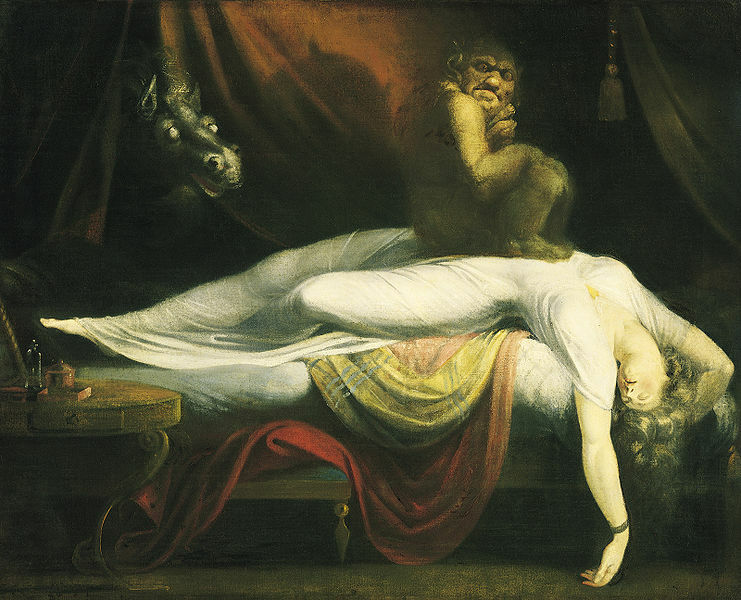 There’s a lot about revenge and about the ancestral condition de la femme. Saviano investigates on the Ndrangheta’s primal roots: tribe, land, crops, cattle and woman. In this order. 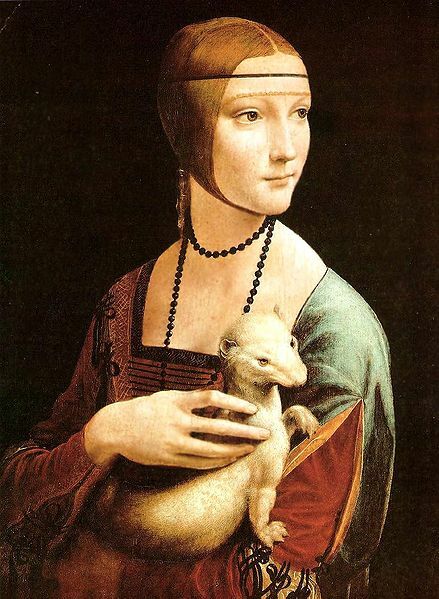 All the rest is disposable or swappable, be it investments (in Northern Italy, in real estate) or consumption (other women, being them from the North or the East, prostitutes or lovers). Today Deutschlandfunk dedicated a feature to ‘Ndrangheta in its Europa Heute programme. Its starting point is the flourishing consumption of cocaine in Northern (and not only) Italy, the reports from hospitals on the matter, and the ramifications in the real estate industry in the suburbs of Milan. Roberto Saviano on the mud machine. The mechanism by which freedom of the press and freedom of expression are under threat in Italy. Shall I stay or shall I go? Fabio Fazio and Roberto Saviano give reasons for Resistere! Resistere! Resistere! or for giving up and looking for a better life, somewhere else. It’s the post-democracy. Now, in a store near to you. Tonight Roberto Saviano reminds us that Anna Politkovskaja was a courageous journalist, but also a normal woman, earning her life, shopping for groceries. She wanted to lead a normal life, and she tried to do that until her last day. Today’s article by Roberto Saviano, on why for some young Italians living in the South going to war is the only option to earn their living.